For much of the country, there has been a noticeable dip in temperatures that means that winter is approaching and its arrival is imminent. It should come as no surprise to learn that the frigid weather can be brutal on everything that encounters it, and this includes your property. The following are some quick tips that you can implement now to help your property get through the winter unscathed. 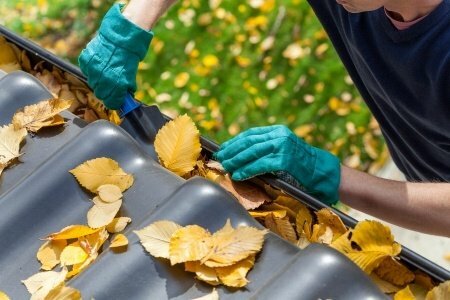 Removing debris from the gutters allows them to work more. efficiently and effectively at keeping water away from the building. Once your heating system undergoes a tune-up and a servicing, make sure to give it a test run yourself. Even though the HVAC team will test your unit before they leave for the day, it is still important to make sure that the unit runs as expected. Even though running the air conditioning might be the furthest thing from your mind at this point,, taking a few extra minutes to address the AC condensing unit helps ensure that you will be able to deliver the cool air that is desired. Removing leaves from the unit before covering it helps to keep it in peak working condition. Turning off your sprinkler system is not enough to make sure that the unit survives the cold weather. Excess water located in the pipes can expand when it freezes causing them to burst. Remove the water by blowing it out using a compressor. The driveways of your property deserve their own special attention. There are few other places that receive the amount of use and attention that your driveway does. Small cracks in its surface will become larger and more problematic if the water that pools in them is allows to do so and then freeze, making them larger. Armed with crack sealer or poured concrete helps to keep those cracks from wreaking havoc on your driveway this winter. These are only a few of quick ways of helping your property to withstand the harsh winter conditions of your area helps ensure that both it and your residents come out of the season unscathed.